You are currently browsing the tag archive for the ‘waste time in your car’ tag. 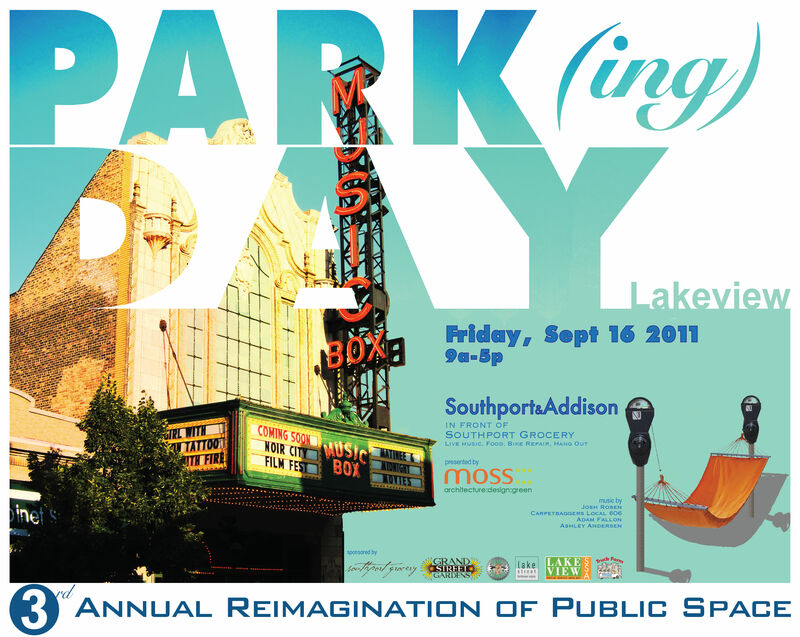 We are reclaiming urban public space for people on PARK(ing) Day, Friday, September 16, 2011 from 9am to 5pm. 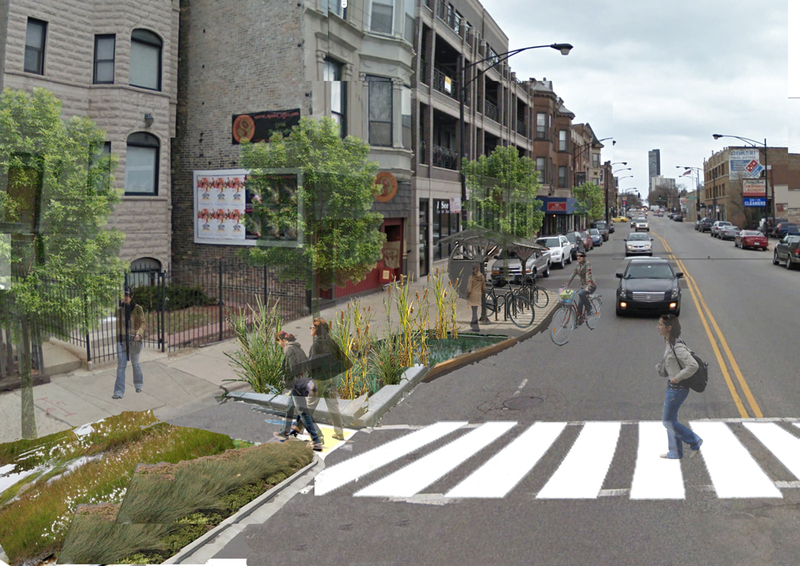 The designed “PARK(ing) spaces”, metered parking spaces converted into temporary green parks, will be located in front of Southport Grocery, 3552 North Southport Avenue. The ‘park’ will feature a bicycle repair station, live music, and a lawn for dining and enjoying the day. 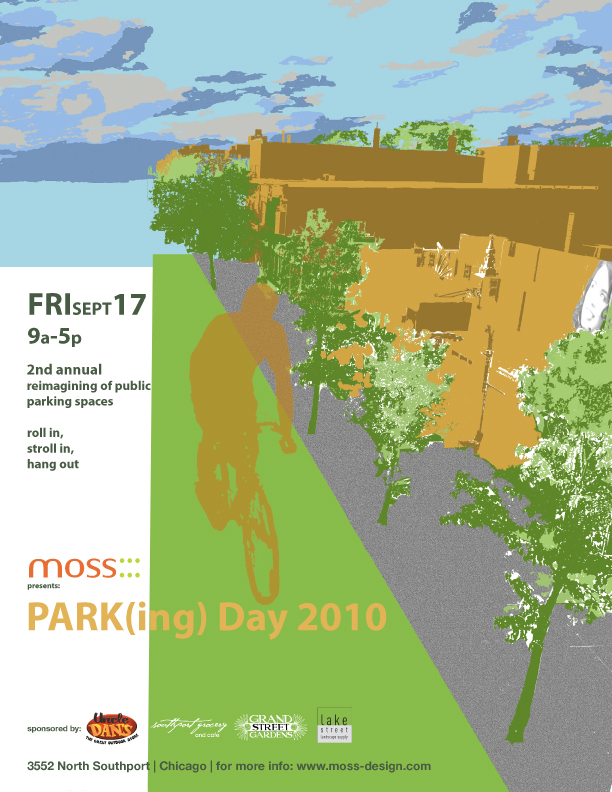 In 2009 and 2010, moss Design converted parking spaces into temporary public space, which will be expanded this year to highlight the need for bike infrastructure and open space in Lakeview. Earlier this year moss Design unveiled a sustainable master plan, prepared for the Lakeview Chamber of Commerce and SSA 27. Part of the plan was a call for more unique and accessible public open space. This year’s PARK(ing) Day theme is a “Bicycle Comfort Station” featuring free food, live music, bike parking and repair, and relaxation areas. Think of it as the mini-mart of the future. 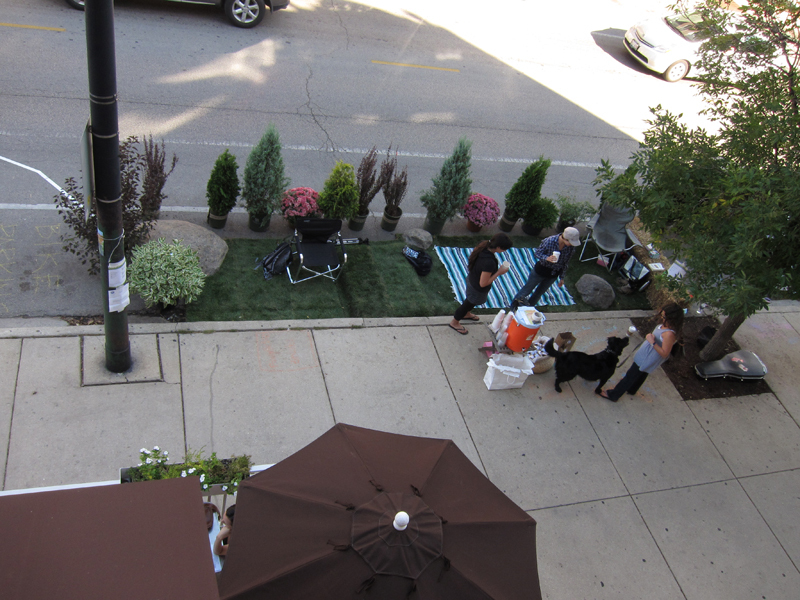 We had a magical PARK(ing) Day installation yesterday! It was great to see all of our fellow PARKers, and showed that we can do more with the right-of-way than simply store automobiles. Proving once again, parks are fun, parking is not fun. We could not have done this without our wonderfully generous sponsors; Southport Grocery, Uncle Dans’s Outdoor Store, Grand Street Gardens, Lake Street Landscape Supply, Farmers’ Market Nursery, Sam & Willy’s, and Alderman Tom Tunney. Thank you so much for all of your support. Photos and media coverage inside. Parking. Its a sore subject here in Chicago. In 2008 the City decided to privatize it’s 36,000 parking meters – in reality leasing an 8′ wide section of asphalt from the curb to the sometimes-present-bike lane – to a group made up of Morgan Stanley, Abu Dhabi Investment Authority and Allianz Capital Partners for a $1.16B. Since then, everyone in the City, nay, the world, seems to have developed a disdain to the selling off of public assets. And rightly so. Bloomberg News discovered just last month that we Chicagoans got royally hosed on the deal. It turns out the private group will net $9.58B over the course of the 75-year term. Oops. This is more than twice what Alderman Scott Waguespack estimated the City would loose in profits when he denounced the deal and subsequently voted against it in the City Council.